Bob Vila Radio is a newly launched daily radio spot carried on more than 60 stations around the country (and growing). You can get your daily dose here, by listening—or reading—to Bob’s 60-second home improvement radio tip of the day. Today, it’s all about Smart Appliances. See a need, fill a need…and if mom needs anything this mother’s day, it’s help around the house. To the rescue: smart appliances! Some of the biggest advancements have come in the world of refrigeration: drawers you can install anywhere you might need to keep things cold, and switch from fridge to freezer temperature with the touch of a button. Dishwashers are making scrub brushes obsolete: they can now do the pre-rinsing for you, and you can reconfigure the racks to get any turkey pan clean with much less water. Washing machines can now measure their own soap, and some double as dryers, so you don’t have to remember to switch the clothes over. On the horizon: appliances that send alerts to your smartphone when the lasagna’s baked, the laundry’s dry, or the fridge door’s been left open. 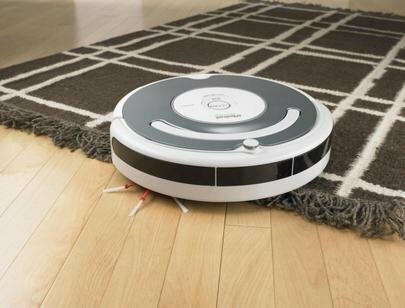 You’ll be able to start your robot vacuum or even feed the dog without even being there…something the dog may or may not appreciate, but mom probably will!